I have been doing a lot of research lately about something a little controversial cannabis oil Or CBD oil as it is also known. I keep having this pop up on my feed and I don't know much about it. As an ex-police officer, the alarm bells started ringing and I thought what? is this legal? If I google this will CID come and seize my computer and tell me I cant look at this? Well, Here is what I have found out. This is not Cannabis as you know it. There is no bongs or brownies insight and it is completely legal to buy this in the UK. 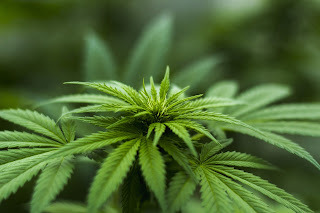 CBD is a cannabinoid just like THC the psychoactive compound that makes you "high" or stoned (THC is the chemical which makes you high) But it does not have the hypnotic property of THC is known for and you can not get intoxicated by this product, thus making it legal in the UK. The compound CBD isn't only derived from marijuana plants, it can also be found in other plants from the sativa family, like hemp. Ok, what is it for then? It is a natural pain reliever and anti-inflammatory. some people believe this is a natural way to deal with pain. it has a huge following. it is connected to so many illnesses from multiple sclerosis to anxiety it has a wide range of different uses. There is an ongoing study of people with epilepsy and the effect CBD. This has shown some amazing results. CBD has actually reduced seizure rates in suffers. The results in cancer suffer has been the most interesting I have found CBD has actually managed to slow down the growth of cancer cells within the body. There has even been evidence that it can help people quit smoking and even help people who are addicted to opioids. If this is true this is huge developments in all these fields. The conspiracy theorist in me, sometimes thinks that we are not told of these more natural cures and guided to buy more painkillers. Ie putting more money in the pharmaceutical companies pockets. I am just saying what if this has been sat under our noses the whole time but there is so much stigma on the word cannabis that we can't see the wood for the trees? I know I am awful for reaching for headache tablets and not really thinking is there a more natural way to rid myself of pain? It is not all roses though. There have been reported cases of side effect but the most common is tiredness. What you have to remember every tablet or drug you take has possibilities of having side effects. What is fine for me might not be for you. CBD is still in the early stages of testing. This meaning no one actually knows what long-term if any side effect continuous use can make on the body. This is always a risk the first person who ever took penicillin did know if it would cause long-term damage but they still took it or we would not be taking it now. What do you think? Would you try CBD?